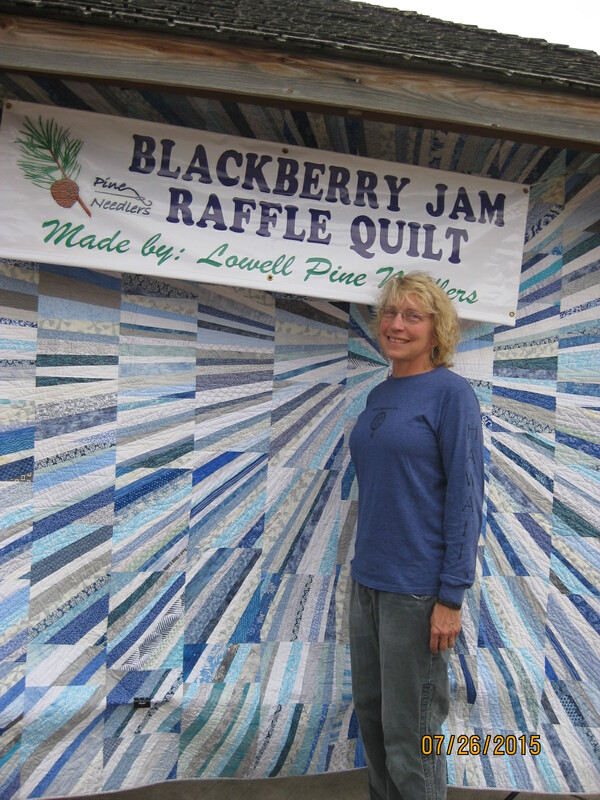 The winner of our stunning 11th annual raffle quilt is Julie Redner of Lowell, Oregon. And a big thanks to Julie for her years of continued support for the Lowell Pine Needlers and their efforts to raise funds for the community of Lowell. We know you have purchased hundreds of tickets over the years, and we appreciate your support.